Giveaway Day — Mendocino Madness! Entries for May’s Giveaway Day are now closed. I will choose the winners using a random number generator before Monday May 28, 2012! A while back, I lost my mind and started buying up all the Mendocino I could find. Ok, not all, but I decided I must have at least a bit of every fabric. And in the process, I ended up buying a few duplicates, partly because I couldn’t remember what I had already, but also because a lot of these fabrics are sold in small bundles, and to get one that I’m missing I might have to buy a couple that I already had. I really wish I hadn’t completely missed out on these fabrics when they first came out! 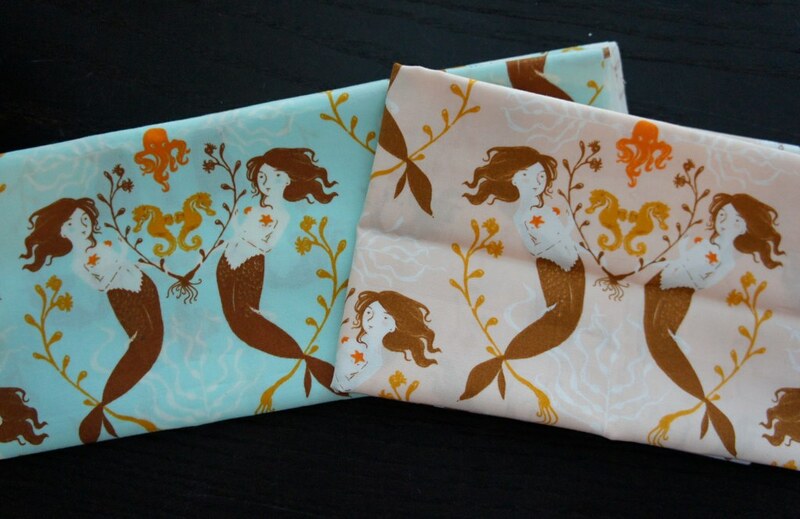 The first lucky winner will get these two fat quarters of Heather Ross’s Mendocino Presentation Mermaids in Aqua and Blush! The second winner will get this little bundle. It consists of two fat eighths — Brown Kelp Forest, and Gold Swim Sisters, and a small 9″ x 11″ (ish) piece of the Kelp Stripe in Brown. All you have to do to win is leave me a comment telling me either what you’ll make with these fabrics, or which fabric line you totally missed out on! For a second chance to win, follow my blog and leave me a second comment saying you are a follower! I will close the entries at 7pm CST on Friday May 25. I will randomly choose the two winners with a random number generator. Happy Giveaway Day! I hope you are one of the lucky winners! I totally missed out on THIS line, i’d love to get my hands on some, definitely would be fussy cut and used for some bags! Ooooh how pretty! I’d love to make a purse out of this fabric! Mendocino is totally the line I missed out on! A purse or a baby quilt/wall hanging is what I would make with these. so pretty! beautiful! I missed out on this line and would love to incorporate it into some patchworky clothes for my girls! I would love to make something for my sweet daughters with this fabric. Thanks for the giveaway! I have 5 granddaughters and I could use it in a quilt but also in pillows for them. I have to say, Mendocino is actually one line I wish I had been around for! I was lucky enough to find 2 prints at my LQS, the fuschia octopus and seahorse prints, but I wish I had more! The fabric is so beautiful and soft :) I would definitely use this for a quilt for my daughter, she just loves mermaids. These fabrics are on my wish list along with the goldfish in bags…I would love to make a small bag :) thanks for the chance! A Doll Quilt or perhaps some wallets. I love these prints! I would use these for fussy cut log cabin centers. Thank you for the giveaway! Love this line! I would make a cute little pouch, pillow or purse out of it. Thanks! This is the line I wish I hadn’t missed out on! I’d love to add the mermaids to a library bag for my daughter. I missed out on Mendocino too, and that fabric is so buttery soft, and the colours so delicious, I kick myself every time I see a super expensive bundle of it on Etsy. Ditto Lightning Bugs (same utterly irresistible soft base cloth and adorable illustrations). I’ve been busy collecting HR all winter to make a quilt featuring her fabrics so these would fit right in. Thanks for the great giveaway! Would these not be wonderful in I SPY quilts? Great for kids when they are sick – I use Weeks pattern with the attaching “lines” so the child or parent can “tell a story” from the pictures! I would be making something uber cute for my best friend who’s expecting a little girl in september!!! a little bag for the bigger diaper bag probably! I would make a sundress for my daughter. I have some of this fabric but would like the kelp print for the bodice. Im working on a mendocino quilt so these would be a great pillow to go with it! I totally missed out on this line and all the HR lines because I didnt start sewing until summer 2010 and it took me until 2011 to even know who HR was! I am in love with this line. And I don’t have any! I would make a quilt featuring the mermaids! probably just the mermaid fabric and solids. I had missed out on Neptune, but was able to piece the entire collection after a lot of swaps and purchases. Mendocino I completely missed out on. 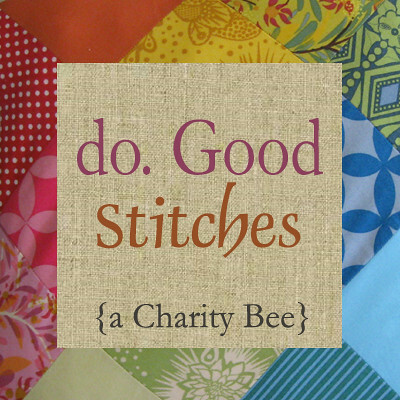 I’m hoping for a few scraps here and there to add to a scrappy quilt I have in mind. This would be perfect for my daughter…I’d make throw pillows for her bed designed around those fabrics. I totally missed out on Flea Market Fancy the first time around, and I was so bummed! Thank goodness for the reprint. I’d have to make a dress for a ragdoll with some of that fabric. Or maybe the tail of a mermaid doll (how cute would that be, mermaids on a mermaid tail!). Oh, I LOVE this line, totally missed it. I am collecting it now to make a quilt. My name is Lorelei after the German mythical mermaid, so I collect mermaid stuff. I love mermaids or sea related fabrics, so I wish I had been around the fabric world when this came out. I am a new follower with RSS. I totally missed out on Flea Market Fancy the first time around… I was new to the whole online sewing thing and my local didn’t carry it so I didn’t even know about it until after it was scarce! I’m new to sewing and have just found out about Heather Ross fabric. I’ve missed out on all of her lines and want some off the fabric so much! how pretty! I’d love to use this fabric on a Kindle case that I’m working on. It would be perfect as the lining and trim pieces. Oh my goodness. I would probably make myself a pillow of sorts to throw on my bed so I could always see those gorgeous mermaids. I think that the fabrics I’ve most missed out on are the popular Heather Ross ones. I will add these to my small collection of Mendocino. I would love to make a quilt out of it! Thanks for the awesome giveaway! would make a super cute scrappy diaper cover!!! delicious! I totally missed out on the heather ross lines. And I missed out on the first line of FMF. I think I’d use them in a bag because they absolutely need to be shown off! I’m totally into making girl dresses these days! Oh my! I would make Mermaid dolls for my girls! Thank you for the opportunity! Hi, I think I’d use them for a wallhanging or maybe little pouches.. fun! I am still kicking myself that I didn’t get a set of Mendocino when it came out. I’d love to make a quilt with Mendocino – something like Baby Mobile by Kate Conklin. I would make a new box/zipped knitting project bag with these! I love this line and never got any. Thanks for the chance to win! Hi! I totally missed out on Good Folks, and I love it! I hope it gets reprinted! With this lovely fabric, I would make a baby quilt! Mermaids! I love them! I would save this for a quilt to make for myself….someday! I love the mermaids!Definitely a purse / bag! I missed the Mendocino entirely. I would make something just for me to cherish that fabric! Perhaps an iPad cover or wallet, the possibilities are endless (if only the fabric supply was!). I think I would make some cute bags or put them in a quilt with the other Heather Ross fabric I’ve been saving up. I missed out on a lot of fabric lines, including this one! I’d love to have some ;) Thanks for the chance! I missed Mendocino, and love it. I am collecting HR for a quilt for my daughter. I totally missed out on this line!! Thanks for the chance to win!! I totally missed out on Far Far Away. Wish I had gotten some. oh… mendocino! i only have a few of the prints and i’m hoarding them until one day i have enough to make a small and very precious wall hanging. favorite collection ever! I missed out on this line and so sad. I’d fondle, pet, and hoard them for a while. Then I’d have to add them to a quilt for just myself! I missed out on a couple of Tula Pink’s line, mainly Neptune and Full Moon Forest. I have purchased what I can but know I won’t get each print, unfortunately. Ohhhh the mermaids! I love this fabric and totally missed out on the mermaids. I would probably make something soft and squishy with these fabrics, like incorporating them into a quilt or a pillow. Love! I missed out on AMH Good Folks and now it is killer expensive to find! I also have one print from Mendocino that I love, but that is another line I missed out on! Great Giveaway! I subscribed to you in my Google Reader! i love this giveaway, thanks for sharing! i would make some knitting project bags. all mine keep being given away or repurposed! silly me. I totally missed this line, and have been trying to add little bits to my collection as I can find it! I don’t know what I would do with it, I would love to make a quilt, we’ll see how many more pieces I can pick up! I missed out of this line and think it’s super cute! I missed Far Far away I. Im finishing a quilt with Far Far away II, and I would to grab some Mendocino!!!!!! I missed out on so many of the early Heather Ross prints…wish I hadn’t. Thanks for sharing these with us!! I missed out on Mendocino when it came out, and I love it so much! Thanks for the giveaway chance! I think I would showcase the mermaids maybe on a new bag for myself?? I would use these to add to my collection for my Mendo quilt. I don’t think I have the mermaid presentation yet! Eeeekkk…I hope I win!! Thanks for an awesome giveaway! I missed out on this line! I so NEED (okay, maybe really WANT) some of this fabric. Gotta love mermaids. I would make a quilt for a dear friend who collects mermaids. She would be over the moon. Thanks for the chance at this awesome giveaway. I would make a pirate quilt with the mermaids for part of the water portion! thanks for the lovely giveaway. I’ll most likely quilt with them! hmmm… I think maybe a doll quilt or some doll clothes for my daughter. I follow w/ RSS feed. thank you again!! I totally missed this line :( I’d LOVE to win! I missed out on the mermaids too. Would love to win some! I totally missed out on this one and Far far away. Love her stuff. I missed out on Mendocino! I should have bought a few yards of the 3-4 prints I really loved, but just didn’t know what to make with it at the time. Huhmph! Big mistake!!! I always wanted to buy the mermaids but never did. Would love to have a few of them for a future project. I’d incorporate those fabrics into a bag! So pretty! I adore Heather Ross. I would have loved to have been sewing when Lightning Bugs came out. I love the camper vans! I also missed out on Tula Pink’s Flutterby. (I think that’s what it’s called.) I love, love, love the ladybugs from that line and they are crazy expensive now! I’d love to make a purse for my daughter with this! Thanks! I’d have to work this into a dress for my almost 5yo. She’s crazy about mermaids! Hello from Minnesota! I would make an applique quilt. I have been hanging onto my small stash of Mendocino hoping to one day make a quilt (as soon as I learn how). These would be a great addition! Thanks! I would love to have some of this fabric. I have a mermaid theme in my bathroom and this would be fun to make something to add to the decor. I have a plan to make a wall quilt for my youngest. Something with hexagons in blue and some hand stitched applique bubbles of mermaids. This was the fabric line I was most sad that I missed out on. I’m not sure what I’d make…to be honest I’d probably hoard them and bring them out to pet and then put away. I did miss out on this one! I’d probably make something for my daughter. Ooh, I love Heather Ross! I only discovered designer quilt fabric a year ago, so I feel like I missed out on tons, including lots of Heather Ross. I would love to make some little bags with this fabric – maybe a laptop or toiletries bag. Thanks for the giveaway! I think they would make great travel cases! I had NEVER see this line!! I have a Heather Ross quilt in the early stages, and this would be perfect! I have been collecting bits of this line forever and the aqua presentation is one I am missing…I hope I win!! Awesome giveaway regardless!! i’d probably make a cute pouch! thanks for the giveaway! Ok as for my first comment I want to make a quilt (forgot to say that). As for this comment I am trying to follow your blog but do not see where to do that, help please? So I can be a new follower! I missed all the early Heather Ross, so sad. I would love to use it as focus fabric in a bag. I’ll use them in a I spy quilt! THIS is the line i missed out on! Thanks for the chance! Oh what a heavenly giveaway! My daughter is all about mermaids these days so I would make something for her… not sure what just yet. I also missed out on that fabric as well as the HR sleeping beauty and princess ones. Boo. :( Maybe I can score some on Etsy or Ebay! I love the aqua and blush! I’d make something for my daughter’s birthday. I’m a really new quilter so i’ve missed out on a LOT. I wish I had been quilting when that Scrabble line was still available! All the ladies in my family play scrabble every holiday. Oh my, I love Mendocino! I’ve been looking around for it to make a twin size quilt for my 3 yr old daughter. It’s one of my favorite lines that I just caught the end of – I have yardage of the fish, but only small bits of some of the other prints. I also wish I would have been more on the ball with Katie Jump Rope… Thanks for the chance to win! I missed this line completely and it makes me so sad. I would love to put some pieces in a Polaroid quilt. I’m also sad that I missed Tula Pink’s Parisville. I missed out on Sarah Jane’s Children at play line. I would probably make a wallet or a cover for my ereader out of these. Maybe both if I could. Mendocino is the line I missed out on as well and I am just slowly acquiring it to make a quilt and if I have extra I’ll use it for a skirt for my daughter. Thanks for the chance to win! If I knew you had that, I would have tried to conviced you to swap it with me ! Crap ! That is VERY generous of you to share that with us !! I would never be able to do that ! Thanks for the chance ! Now I’ll just keep my fingers and toes crosses until friday ! Perhaps a little zippered pouch! What a generous giveaway! I have a mendocino quilt and would just love some extra mermaids to make a few accessories or pillows to go with it. It is my all time favorite line. I didn’t miss out on it, I just didn’t buy quite enough! Ahh!! What wouldn’t I make with these? I’d love a cute clutch or make up bag, and you better believe I’d save the scraps forever! I am such a sucker for this fabric line. I love it! THIS is the fabric line I missed out on! I love it, but was late in seeing it, and it was all gone everywhere. Thank you for a second chance! I missed out on Heather Ross’s VW Bus and Bike fabric. All of her fabrics are so lovely. Thanks for hosting a giveaway! My biggest regret is that I totally missed out on most of the great Heather Ross fabrics. So, I totally love this giveaway! I would love to turn these into pillows! So pretty! I missed out on this line & have been desperately looking for the mermaids. They’re so hard to find!! But with a mermaid themed sewing room how can I not keep hoping to find some eventually. Thanks so much for the chance! I love these! I’m not sure what I’d make but I’d love to just sit and stare at them until I decide!! I’d add them to my small stash and make a quilt! Funny you should ask! I missed out on Mendocino. I have managed to get some but am still missing some. Thanks for the chance to win. Hm, this would make a nice purse! Thanks for the giveaway. I would make my daughter something special since she’s very much into mermaids right now. She’d love these prints. I would love to make a bag out of these fabrics. My oldest is going to high school next year and a new fun bag would be great. I totally missed out on Heather Ross fabrics! just started quilting and wish I had ciollected fabric sooner. it retires too soon! basic grey’s earlier lines, echo (missed it- well, some of it! ) sigh. umm this is the one that i missed out on :) they would make it into a quilt. Heather Ross!!! Love it! I would make something for my wonderful sister who is a mermaid lover! I missed too many…Swell (Urban Chiks) and Katie Jump Rope come to mind straight away. These lovelies would be perfect for patchwork pillows for my friend’s beach place! Thank you! I would make some zippered pouches. I never seem to have enough of them! I totally missed out on Moda’s Hushabye line…sigh. i definitely missed out on this line! i’d make a sweet quilt block or a cute pouch of some kind. thanks. I so totally missed out on this fabric line! I would love to make some bags & pillows with this line. Great giveaway! Thanks for hosting. I would make some make up zipper pouches with this lovely fabric, should I win. Love the prints— I’d use this to make me a lunch bag. This IS the line I missed out on – I literally have another window open right now on a search for various prints from this line! I think I’d have to make some fun pouches so I could share the whimsy with others. I also missed out on Mendocino altogether! I now have a growing little collection of Heather Ross prints mostly from the Far Far Away collections that I plan to make into a quilt for my daughter. Totally missed out on the mermaids…that I see everywhere! :) I want to make pouches and bags with these gals on them. I missed out on Heather Ross’s Far Far Away I line…I found some on etsy, but really wished I’d been in the know to buy it as yardage rather than fq’s Thanks for chance to win!! Ooh surely this is the holy grail for quilters! How lovely to offer it as a prize! Thanks for the giveaway! Other than Mendocino and most of Heather Ross’s fabrics, I totally missed out on AMH’s Good Folks. I would love to create a make-up bag/small zipper purse with them. What lovely fabric! Well, I sure missed out on this line. I love these little mermaids. I would make something sweet like a pillow with embroidered center or use in quilt blocks. So generous! I love this line, and totally missed out on it too! Thanks for the chance to win some! I’d love to make something for my little gal with this fabric – probably something lovely for the summer! I totally mised out on all of these and they are very hard to find!! I’d a make playmat/quilt for niece who is due into this world in September :) Thanks for the chance. I totally missed out on Lush by Erin Michael. I totally missed out on HR’s Lightening Bug fabric line! Those goldfish! Those dogs! Those vw’s! So sad! Thanks for the giveaway! A wallet for each of my daughters…it’s on my “to make” list and this fabric would be perfect! This is gorgeous. I would make new kitchen curtains. I missed out on this line! It’s gorgeous. I would use it in a quilt or a beach bag. Totally missed this line too! And I live at the beach. Ugh. Thanks for the chance for a re-do! Mendocino is definitively one of a thousand I missed out. Funnily enough, mendocino totally flew by me- which is a total shame, because I’m an octopus nut. As in, my planned full-back tattoo will be an octopus. I shall keep my crazy obsessed fingers crossed. i’d make my tiny a cute little bag. i know she has loads already but you can never have too many bags! I just love this line!! I would use them in my kids clothes projects. LOVE this line, but for some reason, didnt get in on it. Thanks for the awesome give away! I missed Castle Peeps and am making up for it by buying every piece of Lizzy House fabric I can get my hands on. Thanks for the lovely giveaway. I would love to use these fabrics for some trim on my daughters clothes. I think a pieced bodice would look so cute. I think I would make a quilt out of it or a mug rug. I would surely use them to make a purse! I missed out on Mendocino, too! It came out just before I got back into quilting, and by the time it was on my radar, it was very hard to find! And I’m a new follower, too. Always happy to find an awesome new-to-me blog to read! This is my favorite fabric line ever and I am saving up Mendocino to make a Canasta quilt! I LOVE this fabric line. I threw my daughter a mermaid party earlier this year and wished I could have gotten my hands on some for the skirt I made her. I think I would make something for my daughter with it. And maybe a little something for me too! I totally missed out on this line of fabric! I’d want to use them on a bag I think…Thanks for the great giveaway! I would love to make a quilt for my inlaws. My Father inlaw still goes deep-sea diving at 60 yrs young, and they love the sea. I totally missed out on Kate Spain’s Terrain. Sometimes I’ll find a little (and I’ll snap it up), but oh! I wish I could have bought a FQ bundle of that line! Beautiful fabric! I would definitely fussy cut them and feature them in a quilt. i think these would be great in a tote! I am with you, I totally went through a phase of buying up Mendnico too! I would love more of those mermaids though, they would be great to fussy cut into blocks for a bag or pillow to match the quilt I made my daughter for her first birthday (see my blog)! I missed out on THIS line. I love her designs. I would make a quilt featuring HR fabrics if I won them. a bag or a pencil pouch! I would make a lovely wall hanging with these and the tiny Mendo scraps I have been able to find as I also missed out on this line when it came out! And I’m a new follower – I can’t wait to hear more from you! I would use the fabric to make baskets. Thank you for the chance to win! I just saw a pattern yesterday for making a starfish softie…wouldn’t it be cute to use this fabric to do it and then send them to my niece? Or keep some myself for summer decor…or both!! Well, I’ve only recently discovered Heather Ross, so actually this line is one that got away from me. I’d love to win either set! My daughter is CRAZY about mermaids, so I’d have to make something for her. Probably a little skirt with good “spin” factor. I didn’t really get into quilting until a couple of years ago so I feel like there are a lot of lines I missed out on. FMF was definitely one of them so I was thrilled to get my hands on the reprint. They’d definitely go on a pouch! I missed out completely on this line ! I think I would incorporate these as the featured fabrics in bags or pouches. Thanks for the outstanding giveaway!! i totally missed this line and i love it! i think i might make a quilted duvet cover. I am trying to get enough of the whole line myself to make me a Mendocino quilt! I missed out on this line since I didn’t like it when it first came out when I could have bought it for normal prices but my tastes changed and I LOVE it now. I totally missed out on Katie Jump Rope-bummer! Tis is generous of you to share! Mendocino is definitely the collection that I wish I hadn’t missed out on, so I really hope I win. Thanks! I missed out on the Heather Ross lines too! I have a few saved up for something special and this would be a great addition! well apparently i missed out on these mermaids! they are pretty rad, i have a 4′x6′ painting of a mermaid hanging in my living room. i have no idea what i’d make with this… but it’d have to be pretty special! I missed out on this fabric line and the Far, Far, Away I…. Do i have to make something? I’ve been coveting this one for a while and I think i would either frame them or put them in embroidery hoops as art! I think these would made darling pillows. Thank you for sharing your stash! I’d have to incorporate these into a quilt for my oldest daughter. Her greatest wish is to become a mermaid. The one fabric that I really wish I had, is loteria from Alexander Henry. I didn’t buy any Katie Jump Rope when it came out and now it is way beyond my price range. Thanks! Id be very naughty and make myself a lovely bag, because I own NO hr and have always wanted some! THIS is the line I missed out on. Right now, I have no idea what I’d use them for. I’d hoard them, lol. I totally missed out on this line as well as my other favorite oop collection, Neptune by Tula Pink. I would add them into a quilt of fussy cut blocks using a bunch of my favorite fabrics. Thanks for the chance! This is the line I WANT!!! Wall hanging for my little mermaid princess . . . I would probably use them in a crib size quilt! Mendocino *is* the fabric line I totally missed out on! I have been trying to get my hands on those mermaids in aqua forever!!! I missed out on AMH Good Folks – ah! I’ve missed out on so much fabric – but there’s always more good stuff coming! I am another sad quilter who missed out on this line completely. I have been trying to buy on EBay, but there is not alot out there. I would be thrilled to win one of your bundles! I am now a follower of your blog on Google Reader. Funny enough, this is the one I missed! I see a bag of some sort from these fabrics. I wish I had more of Heather Ross’ goldfish. But these are fab, too! And I don’t have any! These would make great zippered pouches. Thanks for the giveaway! I missed out on Katie Jump Rope. And the HR goldfish…sadness. This is actually the line that I totally missed! I think it came out before I really started sewing and accumulating fabric. I’ve also become a follower via RSS. I love, love, love Mendocino – I would make a pillow to match my daughter’s quilt. I totally missed out on Neptune (yes, I love the ocean). Thanks for the chance. OMG. THIS is the line I missed out on. So badly. I didn’t know about it until it was way too late. My daughter looooves mermaids and has just moved to a big girl bed. I’d love to make a quilt for her. I definitely missed out on this one too, but I also miss out on a lot of things because I am too cheap to buy things full price. I totally missed out on Good Folks. And my heart breaks a little each time I see something fantastic made with it. I am now following you! Great blog! I totally missed out on this set! I would make a great little bag for my sister-in-law’s mother, who collects mermaids. I feel I missed out on Sunkissed. Thanks for the giveaway. I would love to make a dress with this fabric for my daughter! I’d make a quilt for my little girl. Thanks for the giveaway! I missed out on The Gastlies. Ohhhh I would make a wall hanging for the nursery we are putting together :) Also, I am so sad I missed out on Castle Peeps. I have a dress I made out of the larger octopus print fabric from this line, so I might make a matching clutch for it if I won this! I’m brand new to quilting, but this Mendocino is definitely one I missed. Every time I see it used (especially the mermaids – fussy cut) it grabs me. Thanks for the chance to win! I’d use them for the My Precious challenge and probably make a pillow. Thanks! A small quilt for my daughter. I would make travel makeup bags for me and my sister! A quilt is what I would make. OMG, I’m about to start a baby quilt for a friend of mine whose baby girl is due in September..she is crazy for sea turtles, so I’m fussy cutting a few to center in multicolor squares…mermaids would be beyond perfect to use in a few of the cuts, too. I’m going to cross everything that my name comes up. LOL! I feel like I missed out of some HR lines cause I see fabric in web land I’ve never seen before. 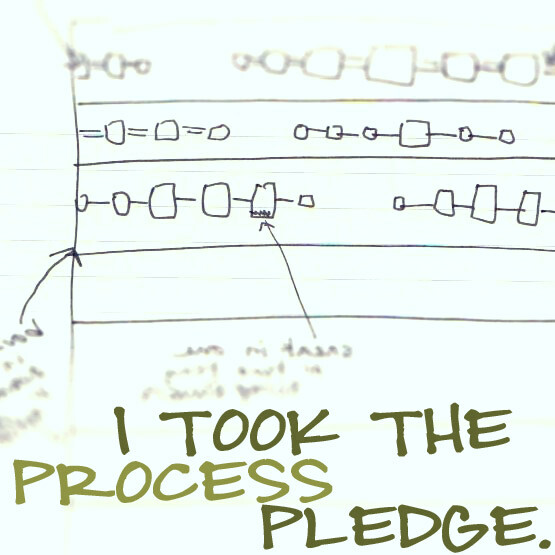 I only started quilting around the time the line came out. I knew nothing of online shops and missed out on this line since our LQS didn’t carry the line. I’m learning to make zip pouches so this might be something I’d use the fabrics for. I so missed these too!! I wasn’t a fabric hound when these came out and found out about them late. This looks fun! I’d like to make a bag! I’d make a cute bag that wouldn’t embarrass my daughter to see me with out in public. Those browns are lovely! I think I’d turn them into a knitting project bag of some sort. And I followed you, too! This giveaway is perfect as I totally missed out on Mendoccino! I’d love to make my daughter a tote bag for the summer. She loves mermaids, and these are perfect, not too babyish! Would probably make a bag out of the fabrics on the bottom – nice fabrics. 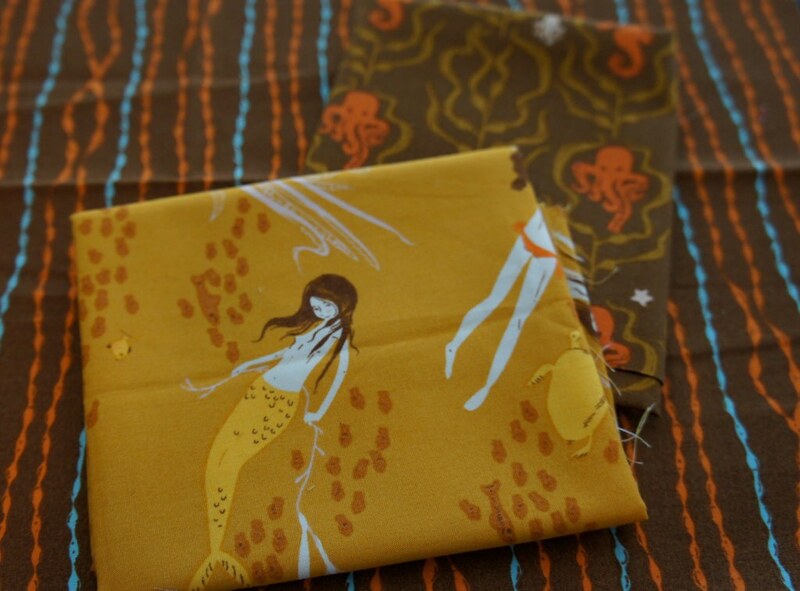 I think I would use the Mermaids to make a bag – they’re such statement fabrics and deserve to be shown off! Thanks for the chance to win! I think they’d make perfect bags! I’d make a cushion for my daughter as she adores mermaids. Id like to make a big wall hanging out of it for the end of my hallway. I missed the boat on a lot of fabric by MoMo. Wish I had snagged some yardage of a few different lines. I missed out on a lot of good fabrics! One I really regret missing is Jardin Rural. I would make something for my daughter with the fabrics–she is quite the swimmer. Thanks for the chance to win! These are darling – I may feature them in quilts or do something small. They need to be shown off! Like many others, I missed out on Mendocino. Didn’t discover fabric/quilting until it was too late. Thanks for the chance to pick some up! Definitely some fussy cutting in order! Probably a baby quilt. I love themermaids – I would fussy ut them and put them on a tote or in the middle of a quilt. Thanks for the give away! I would love to add these to my Mendocino stash – I have a treasured quilt in mind for them! I would use these for the perfect summer tote! Lightening Bugs & Other Mysteries! I definitely missed out on this one–how cool! I wonder if I could somehow make a dress or skirt for one of my daughters–it’s just such an interesting line and needs parading around! I totally missed out on this one! I pick up bits and bobs occasionally. But haven’t gotten my hands on the presentations mermaids yet! Thank you for hosting such a lovely giveaway! I would make a purse with these cute fabrics! Thanks for the great giveaway! I’m not quite sure what I would make with this. I’ve seen a lot of fun mini quilts, pouches and bags that used fussy cut mermaids and swim sisters in them that I adore. I would probably hold onto them to use in something like that. As for fabric I missed out on? This one for one and Neptune. Oh how I wish I had been quilting when Neptune came out. I won a honey bun in a giveaway once and about fell over from shock, so I have a little bit. I’m grateful for that at least! I’m a new follower via Google Reader, you’ve got some fun stuff here! And I see you’re in Austin, I have a brother and a sister there, and their families. I saw the Rudy’s bbq sauce bottle in one of your posts and said “Hey, she must be in Austin!” I have heard ALL about Rudy’s from my brother in law! Fun giveaway! I totally missed out on Katie Jump Rope by Denyse Schmidt! i think that fabric would make awesome pillow cases for my daughters bed. So, so cute! I totally missed out on THIS line! Would be great for a beach tote. I am also a new follower of your blog via my wordpress reader. Thanks! I would make some snap bags or zip pouches for my nieces. I have bought fabric more than once also. I totally missed out on this line, and I really like it! I love this line. I’d probably make some kind of a bag with it. thanks! i am now following you through my google reader. OMG I think this would look adorable for a ruffled bubble romper for my daughter to wear to the beach! Thanks for the chance! I missed out on this line too! I would love to make a bag or pillow out of these! Wow…so I wouldn’t make anything out of them for awhile, I’d be too busy sighing over how beautiful they were and being thankful that I didn’t have to give in and buy some on Etsy! I follow your blog too now, thank you for the giveaway! These are cute – fun print! Thanks for the giveaways! I would make cute little zipper bags, or flannel backed baby bibs for gifts! Cute fabrics! I think I would make a little runner with them! I would use this in a project for my daughter! I so wish I had had a chance at Lush by Erin Michaels. Her line previous to that had those paint by numbers birds I love too. I’ve seen bits and pieces around but I have a hard time paying more than 20 dollars for a fat quarter. I Love these fabric mermaids. Depending on which bundle I won I would either use the fat eights in a quilt or use the fat quarters to make two make up pouches. I wish I could get my hands on some goldfish in bags, and more of the original Ghastlies. Thanks for this fabulous giveaway! What a great giveaway, thank you! I totally missed out on Neptune. It came out before I got into quilting, and I’m so sad about it! I think I would just hoard this until I got more! Great fabric! Thanks! My daughter loves mermaids, so I would love to make her a skirt out of them! Oh! These are my favorite fabrics in the world! I missed these too! I would love to make a book or journal cover FOR MYSELF out of it! It’s so pretty! These would make a really cute tote bag. I’m not sure, probably something cute for my grand-daughter. Maybe a set of pillow cases. She reminds me of a little mermaid the way she loves to swim! This is actually the fabric line I totally missed out on:(- so thanks for the chance to win some. I would make something from Susan Wasinger’s Book “Sewn By Hand”- its a great inspiration kind of book- lots of great ideas to jump off from! Love your blog- and Thanks! I’ve seen some really fun thing done with this line but by they time they began to pop up there isn’t much available. Thanks for the giveaway. I totally missed out on Anna Maria Horner’s Garden Party. I love it so much, maybe they’ll bring it back as a legacy like some of the other designers have been doing lately??!! And I’m a follower of your blog, thanks for the second chance! I would make a cute little clutch with this fabric! I missed out on Katie Jumprope. This is the fabric I missed out on! I’d make a tote bag. Thanks for the chance to win. I would make a really cute bag, either for me or my daughters. Such cute mermaids! I totally missed out on this line. What can I say?? What a great giveaway. Thanks for participating in the Giveaway Day. these are so pretty! I’d make a pillow or something. I have to touch fabric first before I know what to make with it. I think I would use them in a fussy-cut memory game I am making for my wee one, beautiful pictures that would really stand out! I would have loved to have got the Love U range but missed out and haven’t been able to find it since. This line! Since I just started sewing I missed out on a lot of nice fabric lines, I had no idea! A swimming bag for my great granddaughter would be good! Bestill my heart – what a generous giveaway! I snapped up a few fabrics from this line but never realised how rare they would become! I wish I was quilting when her early lines came out as well! oh, i love this line!!! I totally feel like I missed out on this one…and have only tiny bits leftover…and i would love to add some more to my collection! never seen like this before! These would go into a fabric book I am planning to make for my daughter! Thank you for the chance to win! I love those browns, and they’d go in a scrappy quilt. I guess I totally missed THIS line! I’ve never seen it before. It’s great! I’d make something for my son, who’s really into oceans right now! I’d love to do some fussy-cut paper piecing with these fabrics. They’re perfect! I never got my hands on some of this awesome fabric. I would love to feature this in a quilt. I make purses and fabric dolls, so I would probably use some of this fabric either as the focus fabric on a clutch or as a doll dress. The rest of the fabric? I would hoard it, no questions asked. I think I would use it to make a pillow cover. I missed out on Flea Market Fancy AND this line as well. Thanks for sharing the love!! I missed out on THIS line. And the original FMF. glad they relaunched, but want the yellow seeds!!!! ugh. I have been trying to find heather ross here and there, so eventually, I will make a quilt for my DD framing fussy cuts of the fabrics I can find….would love these to join my little stash! i missed out on this line. I missed out on this line and also Heather Ross’s gnomes and VW Camper Vans. Thanks for a chance to win! I don’t follow fabric lines. I just like fabric. I missed out on most of this….as I began quilting this was out, and I didn’t know enough to snap it up…I also didn’t know I didn’t need a yard of everything, lol…so ended up with 2 yards of Mendocino prints (not the ones shown here) and no others ;). Would love to add to the line! I missed out on so many, as I only started sewing last year. I’d never even seen this range til this week, and it’s lovely. I think I’d have to say this one! I would make an ice cream top or dress for my youngest. :) Thanks for the chance to win! I would most likely use it for a new purse. I missed out on this when it was out there. I would make a skirt for my daughter. I totally missed out on Aviary 2 and Heirloom. I would make a cute bag for my daughter because she is really into mermaids right now! Lovely giveaway, thanks! I would definitely have to make something for myself that I could use everyday. Possibly a new purse? Or a pin cushion? I totally missed out on this line, basically because I wasn’t sewing at the time yet. 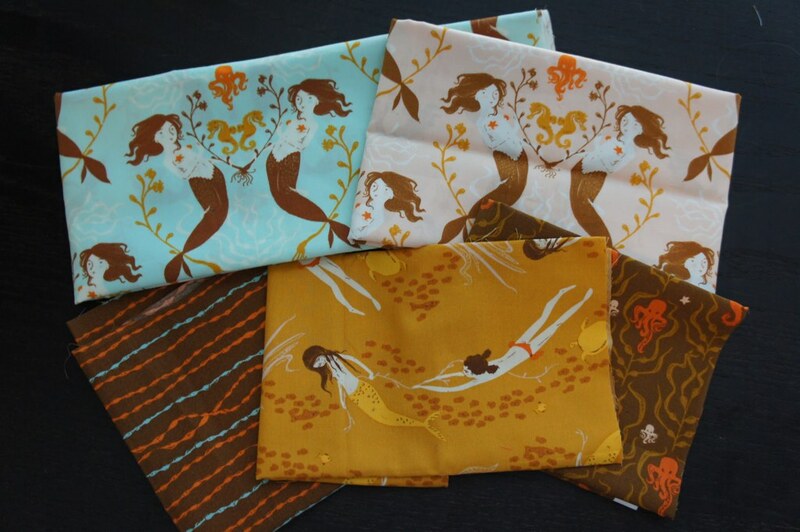 I enjoy fabrics with the aqua theme…the mermaids in the fabrics are so vibrant and inviting to the eye! I would love to make pouches for my daughters and their friends. What a great giveaway! I’ve missed out on so many great lines, especially pretty much everything from Heather Ross. Boo hoo! Thanks for the chance to win some… I’d love to incorporate it into a quilt. I totally missed out on this line , never even seen it before but it sure is cute and I ‘d love to make something for one of my granddaughters with it. Thanks for the chance. I would make a decorative small box with these fabrics. I have missed alot of lines as my pocket book can’t keep up with my fabric addiction but I love this line. Would love to incorporate into a bag. This line is actually what got me into sewing-but I was too broke at the time to buy it, and by the time I could, I was too late. I’d use the fabric in a quilt if I won. Thanks for the chance! I would use them in a scrappy skirt for my grandkids. They would love this. Yep…like many others I missed this line totally and there’s a great Zakka project coming up I would use these for. I very nearly missed out on Kate Spain’s Central Park but a friend gave me charm pack which was enough for a small baby quilt. i missed out on Hometown by Sweetwater. so sad. and my town was even one in the text print! oops. My first thought when I saw this fabric was what a cute tote it would make!! :-) Thank you for the chance to win!! These are precious and would go into the stash until I found something worthy of their use. I would use the fabric to make tote bags. I’d love to make a purse or bag of this fabric! I’m a follower via RSS, thank you! These are fabulous! I would definitely want to make a pouch with them. I’d love to make a little makeup pouch with one, and frame the other in a small embroidery hoop. I’ve been wanting to make an area on my studio wall of all my tip-top favorites framed in various size wooden embroidery hoops… this line fits the bill! I love those fabrics! They would make a really cute purse, don’t you think? Oh boy….what would I make? Hmm….. I’d probably jealously hoard it since I can’t find it anywhere now! I follow your blog now too! Mendocino is the line I totally missed out on too. I just wasn’t that into it before, and now I’m kicking myself! Thanks for sharing with us! I would love to make some cushion covers for my daughter. I would love to make a purse with it. I would make myself a bag with those! I totally missed out on this line, for one thing, and the original Flea Market Fancy (I’m so happy about the re-print!) and Jay McCarroll’s line with the crazy deer and stuff. Oh, and that one with the paint-by-numbers scenes and woodgrain fabric, I’m not sure who that was. Oh, and Dream On – I got one piece of that but I must’ve been in a sewing slump when it came and went. Every once in a while I go looking for all of those, but I know it’s hopeless. ;) Thanks for the chance to finally get some Mendocino! I totally missed this line and Katie Jump Rope. I totally missed out on Mendocino. It is on my to die for list of fabrics I wish I had. And to top it off, my daughter’s name is Arielle (she always tells people it’s “Arielle, like the mermaid”) and when she saw this fabric, she said, “Mama, I want a quilt from that fabric.” I thought it was a pipe dream because it’s just not available, but if I were to win your wonderful giveaway, I’d make her a quilt. I’m now a happy follower. I’m actually collecting Mendocino myself :o) I plan on making a gorgeous Mendocino quilt when I’ve collected enough! I think a cute little apron for my little neighbor girl. I missed out on Full Moon Forrest! I missed this and my dau-in-law would love it!! Never seen this fabric before- I really like it and so would my 9 year old girl – a bag for her perhaps or a lovely skirt! I would probably use them in a quilt. I missed out on this line too! I’d make some mug rugs and coasters for my sister. Thanks for the giveaway! while my first inclination is a quilt…it may have to a wall hanging to keep these pieces big enough to show how pretty the print is! Great giveaway! I missed out on AB’s Belle line. So sad! thanks for the chance! I totally missed the mendocino line! Thanks for a great giveaway!! I would make some new drawstring bags for my knitting WIP! Super super cute fabric line!! Hard to say what I would make. Maybe a bag or something to where I wouldn’t have to cut up the fabric too much. It’s such a cute print! I totally missed the Mendocino line which is really a bad thing since I am always looking for sea creature fabric. I would made a bag. I missed outmon Flea Market Fancy the first time. This fabric is great – I’d probably make a beach bag with it. I did not buy enough of THIS line!! Pick ME! I will make a dress for DD. Some cute quilt pieces. Thanks! i would try to incorporate them into something i could show off. a pillow on my couch or maybe a tote. I think I would use the fabric to make a bag or a quilt. Super cute! They’d be perfect for making little somethings for my twin girls! This is the line I missed out on :( I would probably hold it and pet it and stash it away until I have more of the fabric and then make an amazing quilt. Thanks for such a great giveaway! I’m a new follower too!